Oh, yay! 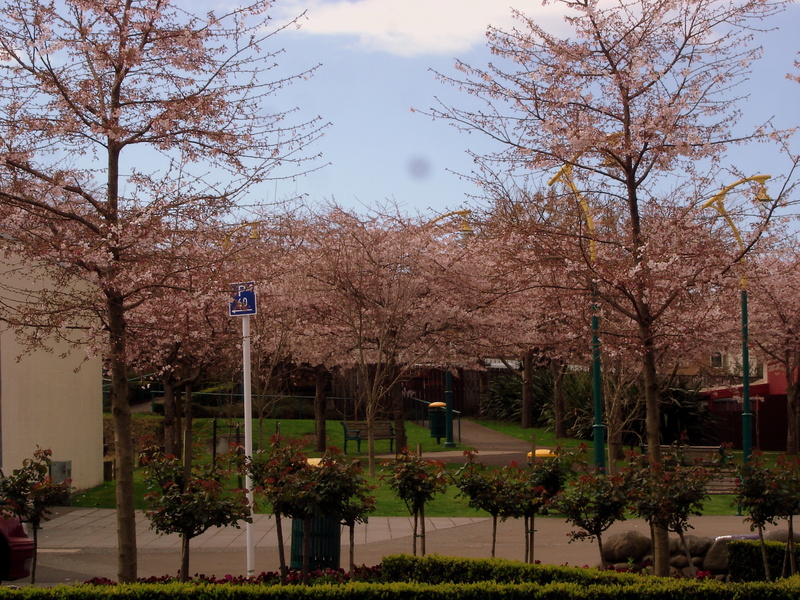 The cherry blossom trees are ….blossoming! I love Greerton at this time of year. Check out this small seating area in Greerton, opposite the kids school and a stones throw from the city centre. It’s not hard to imagine the peacefulness of sitting under this dreamy pink canopy on a stunning spring day. Imagine taking your lunch break here or walking through barefoot, camera in hand as I did. I applaude the councils efforts to keep the area clean, although I have to wonder how many rubbish bins a small are such as this actually needs? There are atleast 3 others not shown here and there are also the bins that are on the actual street. With a little photo-shopping the bins, parking sign, and the spot would be gone in an instant and this would make a great area to get married in. So pretty and princess like! Yeah! 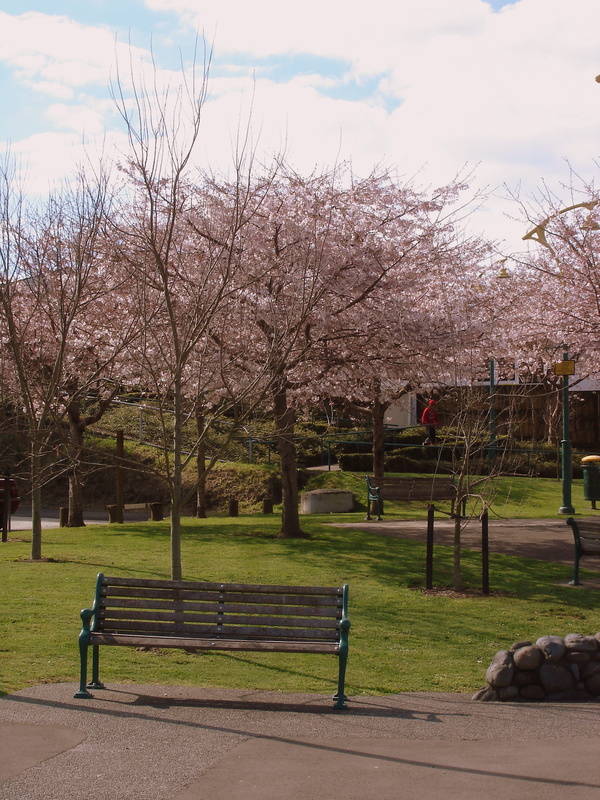 Cherry blossoms! Glad to see spring is finally arriving in your neck of the globe! So we all fall down….. I miss the early cherries the most. My best.